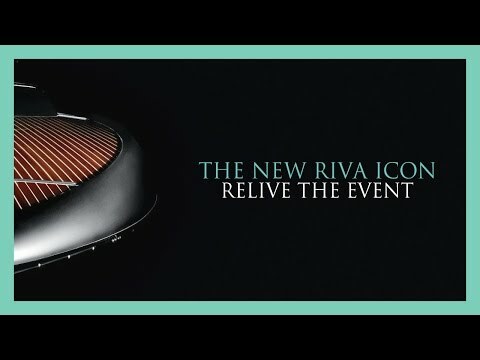 The latest model in the Riva superyacht tender range has been launched, with the Ferretti Group hosting a lavish ceremony in Sarnico on June 24 to unveil the Rivamare. Styled in collaboration with Officina Italiana Design, the new arrival measures 11.88 metres and can carry up to eight passengers. The Rivamare’s sleek and sinuous exterior is available in a wide range of colourschemes, including Ice White and London Grey. Key design features include mahogany woodwork and stainless steel detailing throughout, as well as a five-piece double-curved windscreen. Back aft, the transom opens up to create a bathing platform, two sunpads can also be fitted in the rear, and the starboard storage locker can be enlarged to carry a Seabob. Other optional extras include underwater lighting, air conditioning, an electro-hydraulic bimini shade and, for the first time on a Riva of this size, a Seakeeper NG5 stabiliser. The interior on the Rivamare includes a galley with Corian worktops, heads compartment with shower, and an overnight cabin. 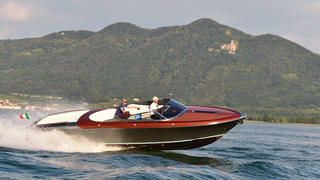 Power comes from a pair of 400hp Volvo Penta D6 engines for a top speed of 40 knots. Alberto Galassi, CEO of the Ferretti Group, said: “The new speedboat is the worthy successor of masterworks like Aquariva Super and, before that, Aquarama. Upcoming projects at Riva include the first 100 Corsaro, a 29.90 metre flybridge yacht that has already been sold to an Asian client and will be unveiled in September at the Cannes Yachting Festival.